The Moldvay Basic Set includes a list of inspirational reading material that is occasionally compared to Gygax's Appendix N. The list is credited to one Barbara Davis, so I'll refer to it as Davis's while generally holding the Basic set as Moldvay. 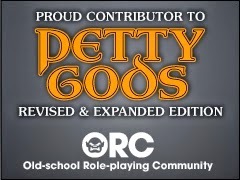 I hold the latter in fairly high regard and have periodically written about it, so it bears some questioning whether Davis's list supercedes Gygax's. First, a comparison is in order. Most of Appendix N makes the Davis list, but not quite all. Despite presenting a substantially longer list, Davis does not include Fredric Brown, August Derleth, Margaret St. Clair, or Stanley G. Weinbaum. Modern Lovecraftians will not mind the omission of Derleth, but he was important both in preserving and popularizing HPL, and in creating what we think of as a unified "Cthulhu Mythos." St. Clair's book Sign of the Labrys was important in creating the concept of the dungeon as an underground world. Both Brown and Weinbaum are important to the science fiction aspects of Gygax's list. So the losses are serious. The "Young Adult Fantasy" is a curious list. I can't object to any of it; Bellairs and Burroughs were already on Appendix N, though Burroughs does not belong in "Young Adult." Prydain, Oz, Wonderland, Brisingamen, Earthsea, Narnia – all solid, all a bit young for most of the folks who will be reading this. I wonder how much they have in common with Appendix N, but I see them as fine for a set aimed at 10-year-olds. The Adult Fantasy section adds far too much. 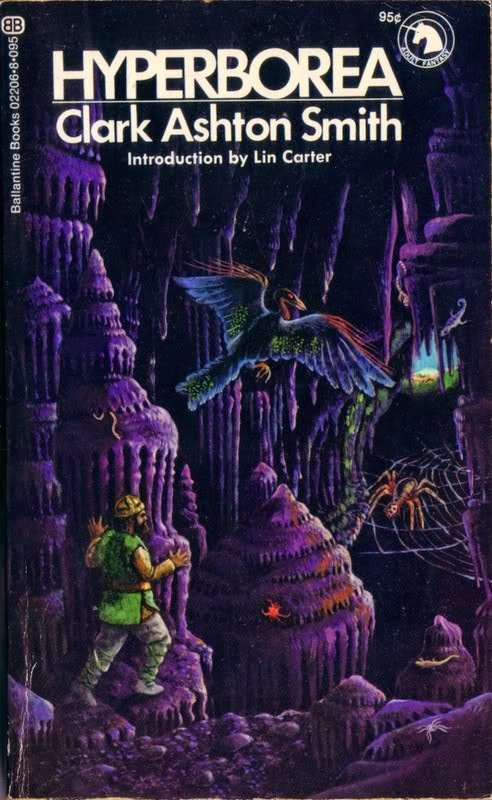 It doesn't help that the first new author is Piers Anthony; he has some of Gygax's imprimatur, but Gygax recommended Lin Carter's original fiction. Robert Aspirin's books are the kind of "jokey" fantasy that has happily fallen out of fashion. E.R. Eddison is a solid addition, with his Worm Ouroboros. Tanith Lee's addition reminds me of D&D 5e's Appendix E: a fine author, worth reading, but not really "inspirational" material for anything I'd recognize as D&D. Heinlein and Niven both creep in for reasons that are beyond me. The happiest additions are Clark Ashton Smith and Karl Edward Wagner, both of whom strongly belong. It's also fun that Dracula shows up. I can't say that this is stronger than Appendix N, though. The additional authors have some solid choices, but seems odd at first glance. A large chunk of the list only makes sense in the context of the Ballantine Adult Fantasy series, a selection of paperback fantasy novels edited by Lin Carter. Peter S. Beagle, Hannes Bok, James Branch Cabell, H. Rider Haggard, Katherine Kurtz, Mervyn Peake and Evangeline Walton all come straight from that line or its predecessor books. Many of these works were dated already in the 1970s and are moreso today. When the Adult Fantasy line and Appendix N choices are pared out, we are left with C.J. Cherryh, Samuel R. Delany, Jane Gaskell, Roland Green, John Jakes, Anne McCaffery, Patricia A. McKillip, C.L. Moore, and John Myers Myers. Moore was a top-notch fantasist who always gets left out of things like this, so it's a delight that she is found here. Delany manages to make even less sense on Davis's list than Weinbaum did on Gygax's; at least "A Martian Odyssey" is a master class in how to write or play a totally alien creature. McKillip is in or close to the "Celtic fantasy" mold with Kurtz and Walton. John Myers Myers only wrote one fantasy book of note, Silverlock, although it was probably one that sat on Ms. Davis's library shelves. Jane Gaskell is incidentally responsible for the "brooding romantic vampire," while Anne McCaffery is well known for her idiosyncratic Pern novels. John Jakes and Roland J. Green were responsible for thud-and-blunder novels with heroes named Brak and Wandor, respectively. C.J. 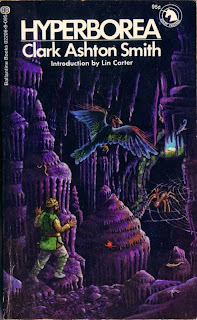 Cherryh went on to do sci-fi for decades but in 1981 was known for an excellent science fantasy series, the Morgaine books. Much as I love the Davis list's inclusion of CAS and C.L. Moore, I feel like it both doesn't have an appropriate filter and doesn't direct readers to as good of a mix of work as Appendix N. There is too much middling fantasy here. I primarily would recommend its whole Young Adult section, plus the handful of additions to Appendix N that I really think are essential (Smith, Eddison, Moore, Wagner). There is a better balance as a list in Appendix N, and I think it's a bit further out from what we now think of as "fantasy" in the sense of a crystallized thing, more wild and undefined. 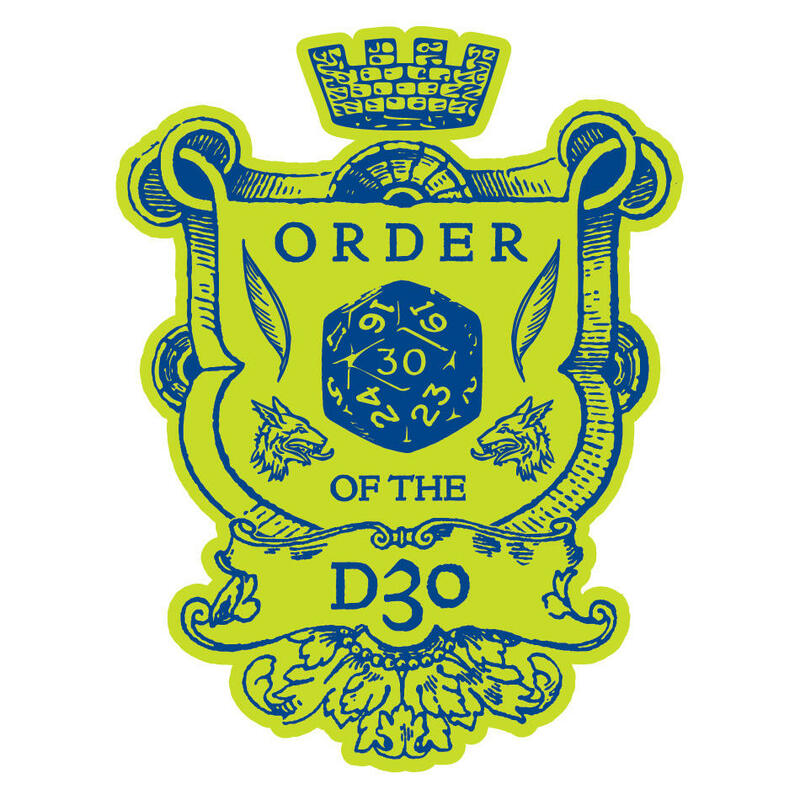 At the end of the day, it comes down to this: I do think a serious fan of D&D should give everything in Appendix N a shot, if not a full read. Davis's list doesn't have that distinction. Thank you for your analysis. I have to admit that I have not read many of the books in the Appendix. Tolkien, Moorcock and Leiber were my favourites, and I didn't find many other books that appealed to me in the fantasy genre. I recently read The Wizard of Earthsea and liked it. For modern writers, George R.R. Martin is the only one that scratches that itch. Thanks again. The Tombs of Atuin (the 2nd Earthsea book) is a gold mine for dungeon temple/weird fantasy religion ideas. Your comment about Anne McCaffery and Anne Rice and Jane Gaskell seems muddled together. One of the things that seems clear to me from your analysis is that a lot of the Davis list authors date from after when the fantasy genre split from SF in the later 70s/early 80s, from a time when lots of generic and Tolkien-derivative fantasy was being published, much of it very forgettable. It may also be worth going back to Ed Greenwood's "Theory and Use of Gates" article in TD#37, which is the first mention of Cherryh's Morgaine books in the context of D&D. I don't know if Andy Offut is on any of your lists, but he wrote some Conan stories in the tradition of R.E. Howard and created his own characters based on ancient legends, such as "Sword of the Gael," and "Bran Mak Morn." How did these people get into the dungeon?